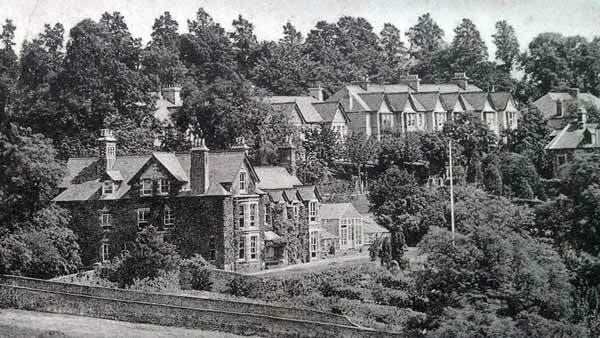 Launceston's Horwell endowed school | Launceston Then! 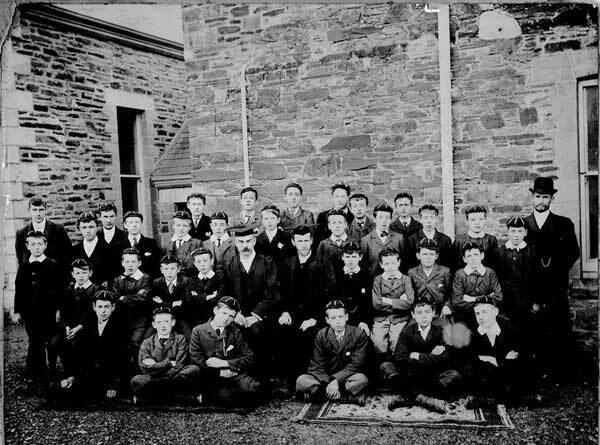 Horwell Grammar School for boys at Newport in 1900. On May 6th, 1707. John Horwell, describing himself as of the city of Dublin, gentleman, made his will, and thereby gave to six boys of the parish where he was born £30 a year, to buy them clothes, all of one colour; £5 a year to a poor widow for her meat and drink, in looking after those boys; £3 a year to a schoolmaster to teach the boys: And he stated it to be his pleasure that three of the boys should be elected by his nearest relative in the parish, and the other three by the feoffees of the parish; that no boys be admitted under seven years old, and that they be put to trades at fourteen years old. His further will was that all the moneys he left behind him should be put out as interest for the use of the boys, the widow, and the schoolmaster aforesaid for ever; and that two years interest of whatever he left behind him should go towards the building and furnishing a house for the uses aforesaid. This was transcribed from an old and apparently genuine copy of the will. It does not mention the name of his parish of birth. He died in 1726. At St. Stephens Church there is a stone in memory of Christopher Horwell, buried there November 7th, 1628, and Thomas Horwell is described in a deed, dated October 31st, 1664, as an inhabitant of St. Stephens parish. Whether these two were indeed ancestors of the Dublin testator is open to debate, but it does seem very probable the St. Stephens was the testator’s birthplace. The Charity is to be administered by nine governors, one of whom, ex-officio Governor, is to be the lord for the time being of the manor of Launceston Lands and Borough of Newport. Of the three representative Governors, one is to be appointed by the Justices of Cornwall acting for the north division of the hundred of East, and two, residents of the parish of St. Stephen, each rated to the poor in not less than £20 per annum, are to be elected by the Vestry of St. Stephen. Five co-optative Governors are to be appointed by the general body of Governors at a special meeting. The representative Governors hold office for five years, and the co-optative Governors for nine years. All property of the foundation is vested in the official Trustees of Charities. The school is to be conducted in the present school-buildings, or in other suitable buildings in the parish. No person is disqualified from being head-master by reason of his nor being in Holy Orders. The head-master is to dwell in the residence assigned for him by the governors. He is not, during his tenure of office, to accept any benefice or other appointment which may interfere with his scholastic duties. The Governors are to have entire general control over the arrangements for the School. Assistant masters may be appointed and dismissed by the head-master. The head-master has a fixed yearly stipend besides a capitation payment in respect of each boy attending the school. The tuition fees are from time to time to be fixed by the Governors. 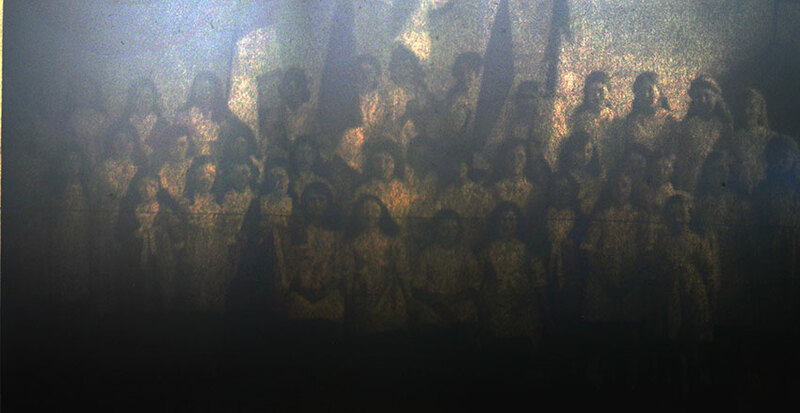 No boy shall be admitted into the school under the age of eight years nor remain in the school after he is seventeen years old except by special permission. The school is open to all boys of good character and sufficient health residing with their parents, guardians, or near relations. Parents, may require their boys to be exempted from special religious services. All boys are to be instructed in reading, writing, arithmetic, geography, history, English grammar, composition and literature, mathematics, Latin or some one foreign European language or both, natural science, drawing, and vocal music. The scholars are to be annually examined, and the Governors are to maintain six or more scholarships, some of which will entitle the holders not only to exemption from tuition fees, but to a yearly payment of from £5 to £10. These scholarships are to be competed for by boys whose parents have resided for at least five years in the parish of St. Stephen. The Governors have power also, if the income be sufficient, to establish exhibitions tenable in higher class schools. The scheme, moreover, contains specific directions respecting the application of income and management of the affairs of the Charity. And so from these beginnings Horwell Boys School (Newport) and later Horwell Girls School (Hendra House, Dunheved Road) grew. 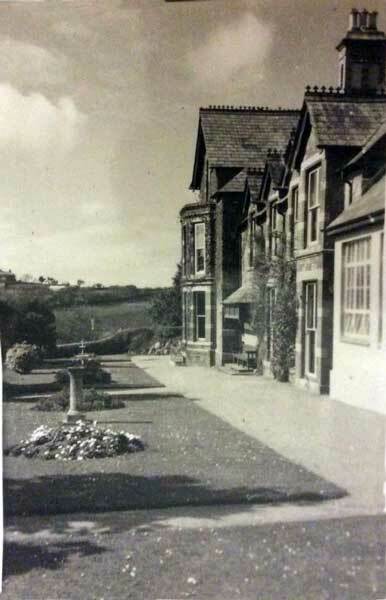 Even with the advent of Dunheved College both of the Horwell schools kept their independence. 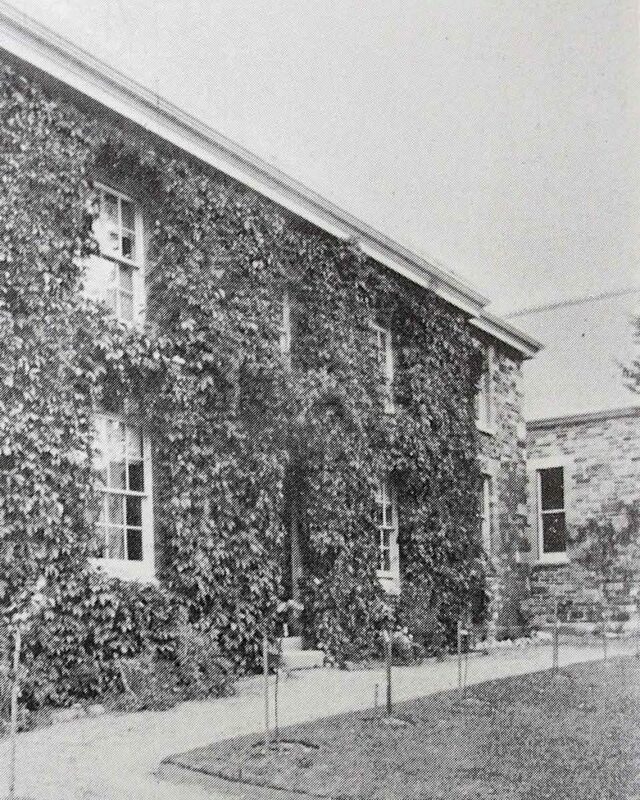 In fact it was not until 1931 that both schools amalgamated to form the new Launceston College with Horwell Girls School remaining independent at Hendra until that too was amalgamated in 1961 to form the new secondary modern school at the newly expanded Launceston College which itself amalgamated with Pennygillam secondary modern school in 1965, thus finally consolidating Launceston’s schools into the one we have today. Horwell Girls Grammar School 1935. Above Horwell Girls School at Hendra House, Dunheved Road in the 1940’s. Horwell Girls Grammar School choir after a performance in 1915 in aid of the Serbian Red Cross. Horwell Girls Grammar School in the 1930’s. Photo courtesy of Clare Shand. Horwell Girls Grammar School in 1952. Photo courtesy of Ann Caddick. 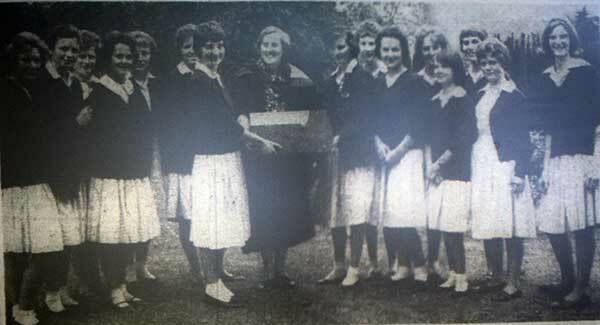 Horwell Girls Grammar School,seniors present the retiring Headmistress Muriel Grier witha farewell record player in 1962. Horwell Girls Grammar School golden jubilee reunion in the White Hart Hotel in 1962 with the present headmistress Miss. M. Grier.